Bret you got it goin' o-h-h-on! Congratulations on your choice of reading material! Hopefully you'll like my thoughts on bits of creative advertising (often digital things), and other stuff I feel like blabbing on about. Calling would-be-assassins. I look like this. A Taylor At War - Ch 2, Part 1. A Taylor At War - Ch 1, Part 9.
pharmacy on Matter. Part 2 - The stuff in the box. wine bags on Matter. Part 2 - The stuff in the box. hcg weight loss on A Taylor At War - Ch 1, Part 7.
coach outlet on Why didn't this happen to me? Where are you all failing to visit this blog from? 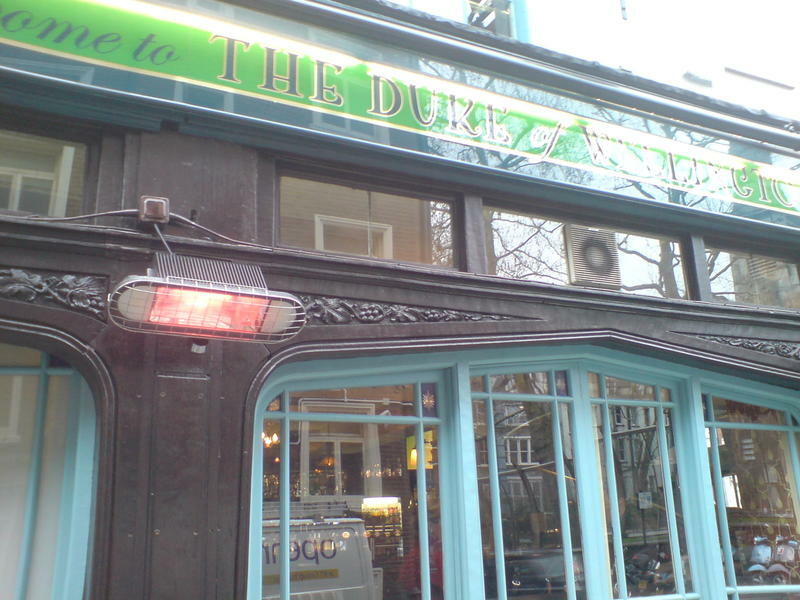 It's in Waterloo and everyone there is very nice - more details if you click! "British Gypsum. Dedicated to Plasterboard." It really is so bad its good. (A concept that has always interested me - I love when stuff gets so bad it is actually really noticeable/memorable.) Maybe I only thought it was good because I was reading it to myself in an Alan Partridge voice though. I guess there's a chance that there are people out there just hoping to find a supplier that is genuinely committed to plasterboard... oh I can't keep that up. The least they could've done was talk about how they've innovated in the plasterboard industry for X years, or something. 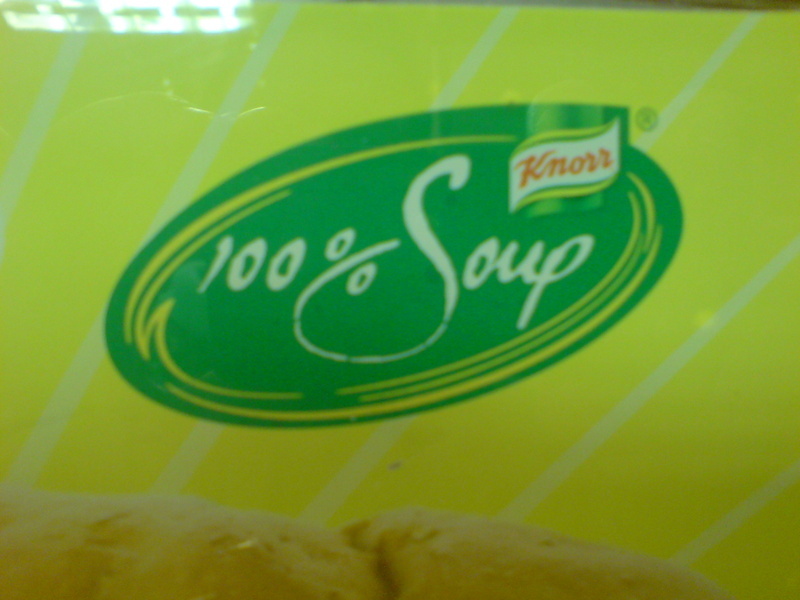 Anything but this tacit implication that their company is made up of the most tedious individuals in history. Seriously. 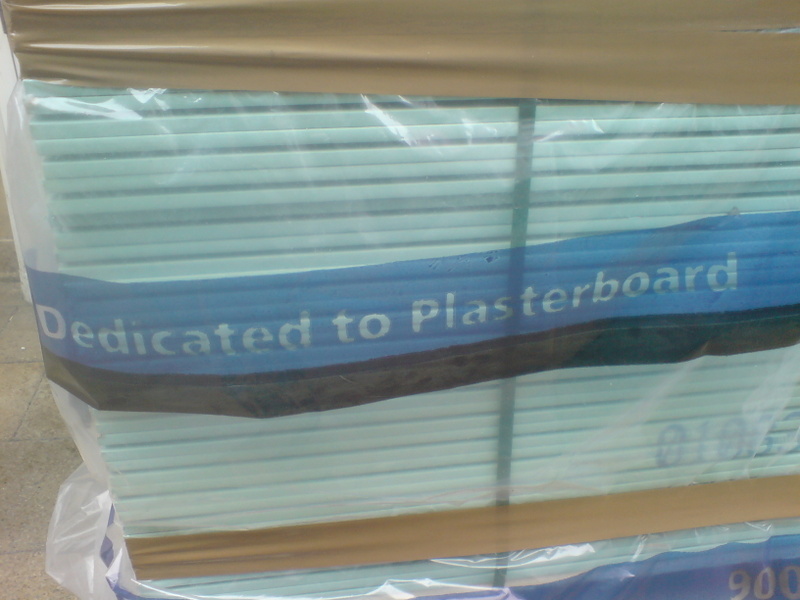 How boring do you have to be in order to be "Dedicated to Plasterboard"? That's what makes it funny though. So they lucked out as far as I'm concerned - for a while I genuinely though "well, at least they've got a sense of humour about it..."
"British Gypsum. The UK's leading supplier and foremost authority on plasterboard, plaster and drylining systems"
Brilliant. I can't think of anything less impressive to be an authority about. They wouldn't even let you on Mastermind with that as a specialist subject. Not so Grand Designs (& Dyson's Robotic arm). Ages ago - last year in fact - Katie and I went to Grand Designs Live (which I see is coming round again) at the Excel Centre (which is so far east it's practically Siberia). Anyway, it was rubbish - just a load of badly chosen exhibitors touting crap for your house. There was the odd gem, I suppose, but I wouldn't recommend it. One thing that was worthy of a photo was Dyson's display (what the hell have they got to do with Grand Designs?). 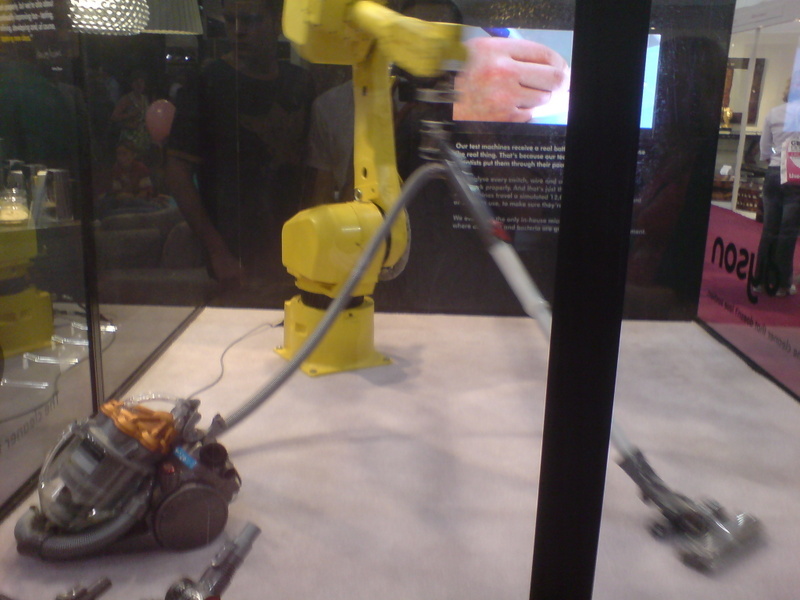 Big, yellow robotic arm moving one of their hoovers around, to demonstrate its longevity. I thought it was quite nice; although it did make me want to buy a robotic arm rather than a Dyson! Matter. Part 2 - The stuff in the box. 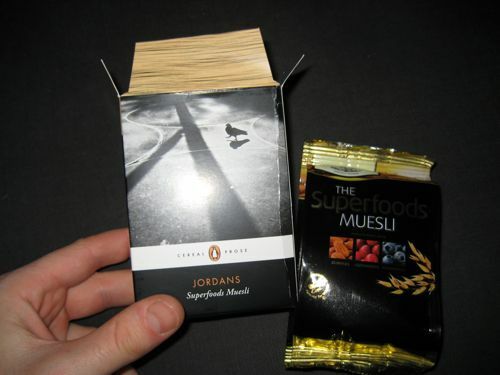 First up was a little box of Superfoods Muesli from Jordan's, in a box that was made to look like a Penguin Classic book. Sadly a thorough inspection of the box reveals no reason why, and in fact the URL on the box sent me to a site themed around muesli being macho! I'd like to imagine this is just because Matter is at a test stage, because I can see where they're going with the idea - everyone reads cereal boxes so why not put something interesting on there? I appreciated the excerpt from Jerome K Jerome's Three Men in a Boat, and I do think Penguin Classics and healthy cereals make happy bedfellows. Plus - and this will be a recurring theme as I go through the Matter box - I'm up for trying the cereal so will be keeping it. In conclusion, a simple bit of sampling, wrapped in fairly nice creative which could be integrated better. 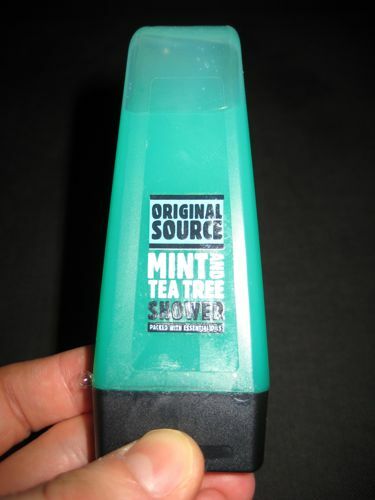 Sampling is an obvious use for Matter, and its used in a simpler form with a little bottle of Original Source Mint and Tea Tree. I already use this stuff, so the freebie will not go to waste - but it easily could have. Even if we credit the little questionnaire I had to fill in to get my Matter box with identifying me as a potential customer, it will still throw up mis-matches, and I worry about the potential waste. I suppose I could do as the little leaflet suggests and pass it on to friend, but that won't always be possible and I think Matter needs to do more to address this. An option to send stuff back would be good, but probably prohibitively expensive for Matter to execute... anyway, I was supposed to be leaving talk like that 'til the end. 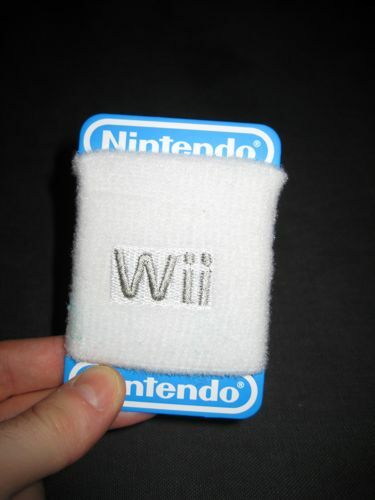 Next up, a wrist sweat band from Nintendo with Wii branding. This made me smile. A simple gift with relevance to the brand's active nature, and the obvious exercise/health association. I might keep it just because its so nice. I liked that there was no bumpf to read, just simple gift. Still, I doubt I'll be wearing it for 5 a side on a Wednesday night. 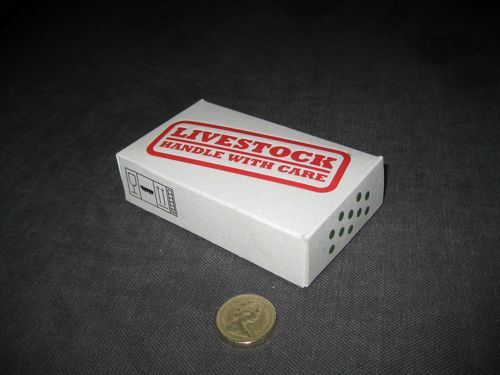 4th one; mini cardboard crate with "Livestock. Handle with care." written on it. 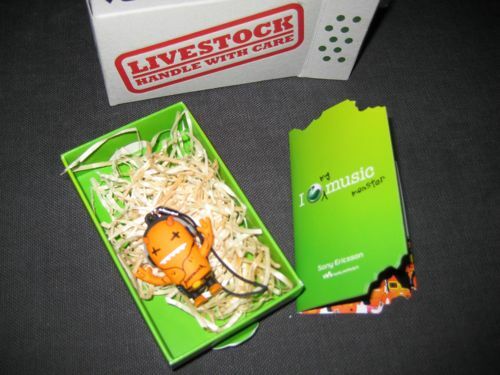 Opening it reveals another box, this one green, with Sony Ericsson branding containing some packing material and a tiny phone charm whose character I recognise from their press and outdoor campaign. This 'Music Monster' is introduced with a booklet (nice attention to detail here with die cut 'chew marks' in the corners) with some fun copy talking about Sony's mobile music offering and info on a new handset. I'm not the phone charm type, but its a nice piece for someone younger I guess. If anyone wants it, give me a shout. 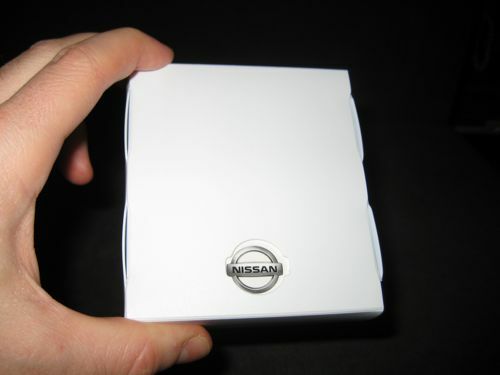 5th one; white plastic box with tiny Nissan logo. 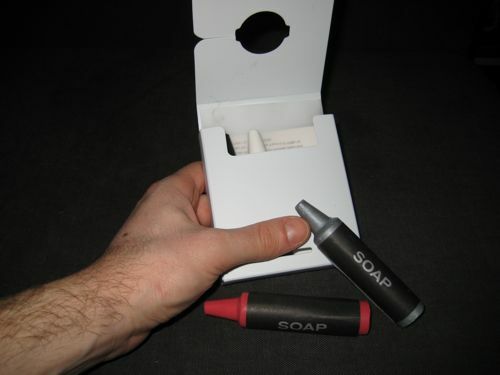 Opens to reveal the box has a built-in hook effort, and contains what look like 4 chunky wax crayons, but are made of soap. ...and I've got no problem with Nissan borrowing the idea, if they use it to tell me something interesting. The booklet has a go at this, opening with a few sentences about "combining ideas that already exist in a new and refreshing way" being behind Nissan's thinking. I'm not so sure it goes on to justify this successfully, there's no more copy, just a series of images like a skateboard captioned with 'Hatchback' and a sofa with 'Pick Up' - bit tenuous. 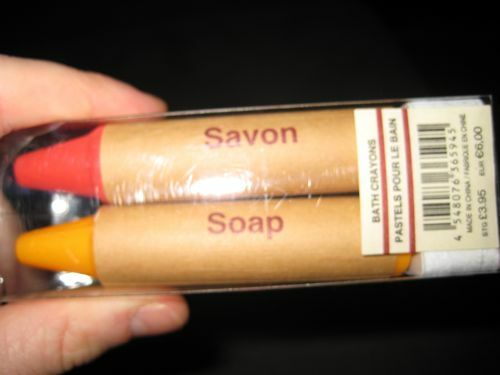 I can see what they were trying to do, and the novelty value of the soapcrayons was nice enough to make me buy them, so if I was reviewing this as a DM piece in its own right I wouldn't slate it. Thing is, unlike the Wii wristband & Music Monster, it feels like its a stand alone piece, not one created for the context of the Matter box. Fair enough at trial stage though - and it was still interesting enough to make me want to read the whole thing. Again, no follow through online at nissan.co.uk, but that's probably me expecting a bit much. 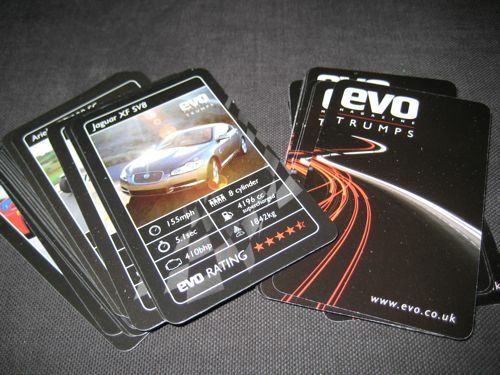 6th one; Top Trumps cards from Evo magazine. Top Trumps are a DM cliche and I can't get over my bias against them to review these objectively. I just don't like them! 7th; two pots of colourful Play-Doh courtesy of Sony Bravia. Very simple tie in with the TV ad. Would've been nice if there'd been a competition to win one where I had to make a model and upload a photo of it or something. 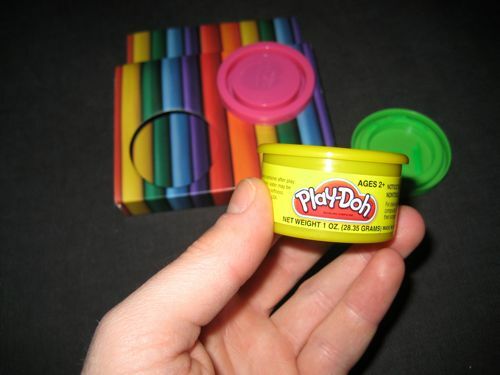 I may be skewed by nostalgia here, but everyone likes Play-Doh, right? Quite charming little gift, but needs some idea with it to get me thinking. 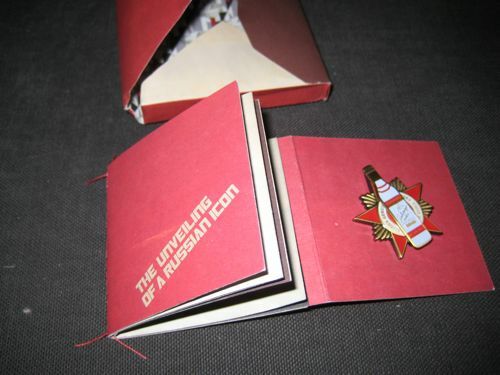 8th one; Booklet about Stolichnaya vodka, with free enamel pin badge! The booklet's actually pretty interesting. A potted history of Russia's "vodka of the people". I just don't get the relevance of the badge, but its nice enough and apparently 1 of a limited edition of 1,000. Again, if anyone wants it, let me know. 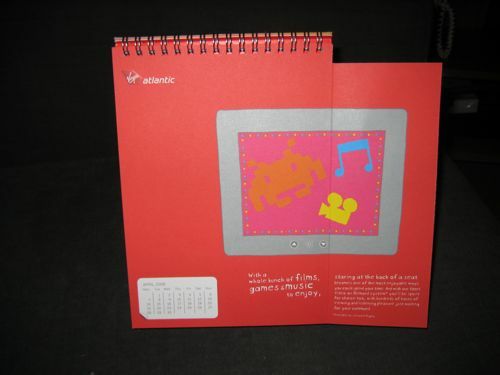 Last one, bottom of the box, is a calendar from Virgin Atlantic. 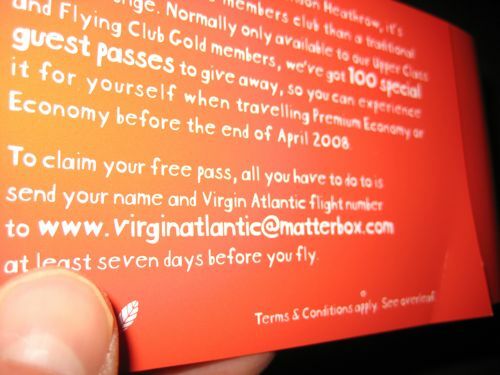 And there's evidence this was made specially for Matter's purposes (at the very least the little paper band around it was, so maybe its an adaptation of a promo giveaway type thing) with a link: www.virginatlantic@matterbox.com - ??? Doesn't work, obviously. And matterbox.com a web design company, while the real link is at matterbox.co.uk. Teething trouble typo, I guess. The calendar is OK, but I don't need it. Any takers? What are they thinking? They've got four of these permanently heating the area where nobody ever stands.